Our extensions are a permanent addition to the home and are therefore designed to last as long as the house, or arguably even longer! 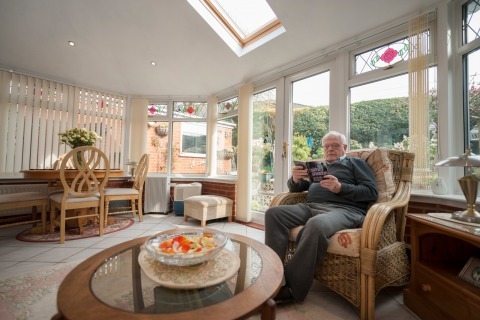 While a conservatory is designed with some element of flexibility our extensions are designed with fixed joint technology and engineered using traditional roofing design. 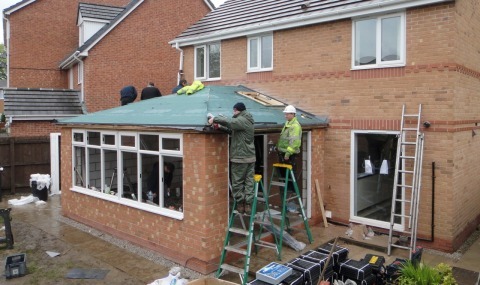 Given our expertise in both manufacturing and installation through our Registered Installers, there is no worry of sub-standard building works and the fact that our extensions can be typically up within 7-10 days. 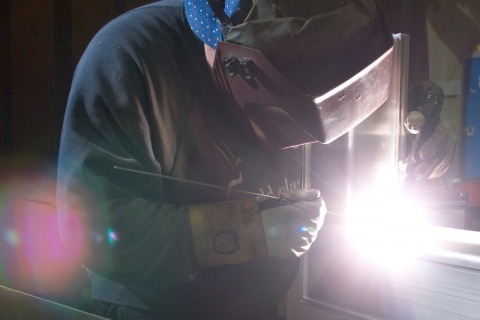 We have designed our products with cutting edge, 3D computer modeling and they have been exhaustively tested to be able to withstand the very harshest of climates in the UK. We have our own dedicated structural engineer who is responsible for product design, testing and performance. A fundamentally important role. For larger extensions we specify a stylish hardwood strut, which is used to support larger roofs or in parts of the UK where there are additional snow and wind loadings. Our installers also benefit from dedicated installation and surveyor training and every roof is hand built in our factory. This makes the installation process easier and quicker, so there’s less disruption on site. Talk to one of our Registered Installers and they will be able to advise you on a number of design options based on your desires and budget for your new extension. Thanks to the product design it’s easier and simpler to install on site and importantly more cost effective than using a local builder. Don’t forget that our extensions add a true sense of style, as they feature a vaulted internal ceiling, tiled exterior and the benefit of an extended living area that’s as energy efficient as the rest of your home. We believe that one of our extensions will completely re-define the way you live and use your space. Go on, extend your living space with a stunning, robust and design-led extension.